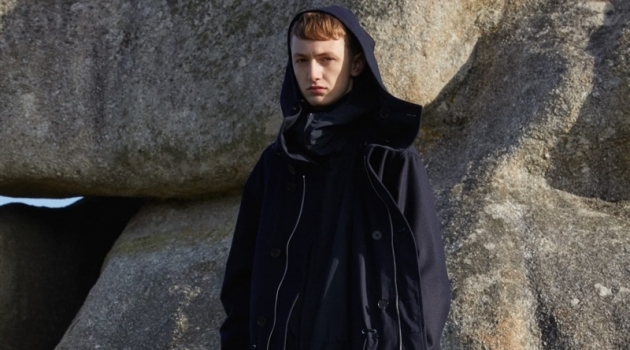 Todd Snyder presents his take on "old (new) school" style for fall-winter 2018. 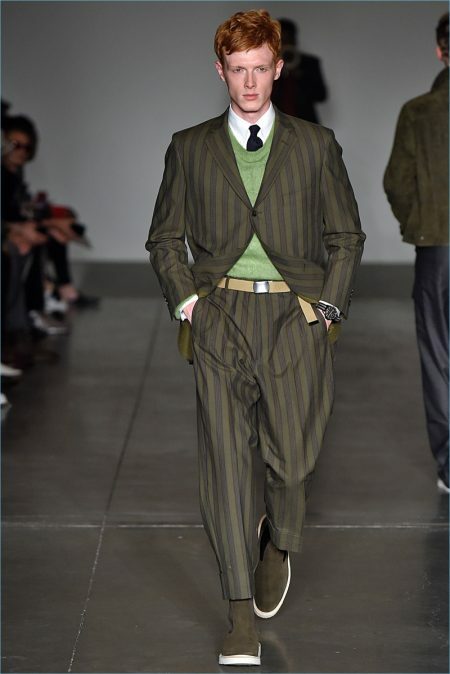 Snyder revisited the book Jocks and Nerds: Men's Style in the Twentieth Century as well as tailor Tommy Nutter for inspiration. 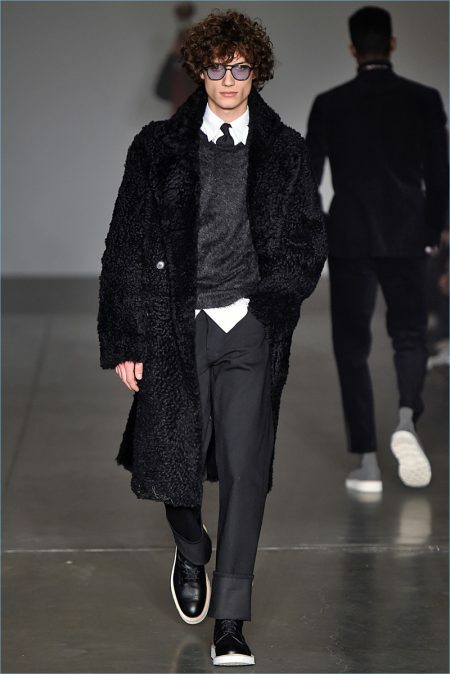 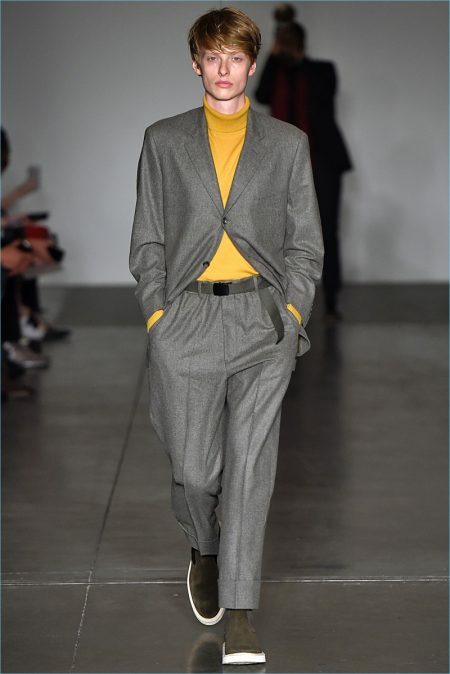 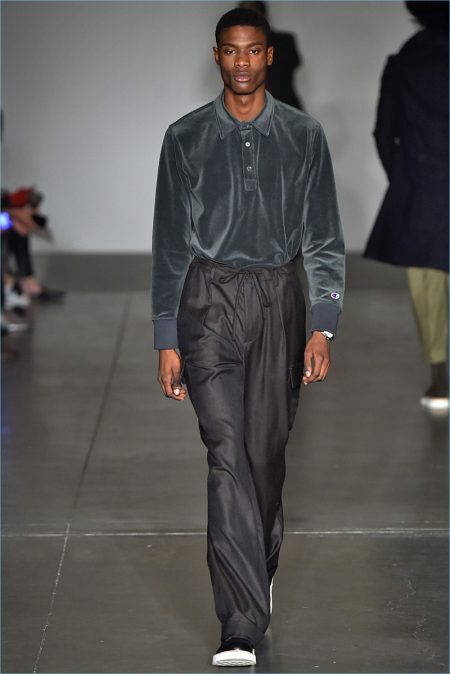 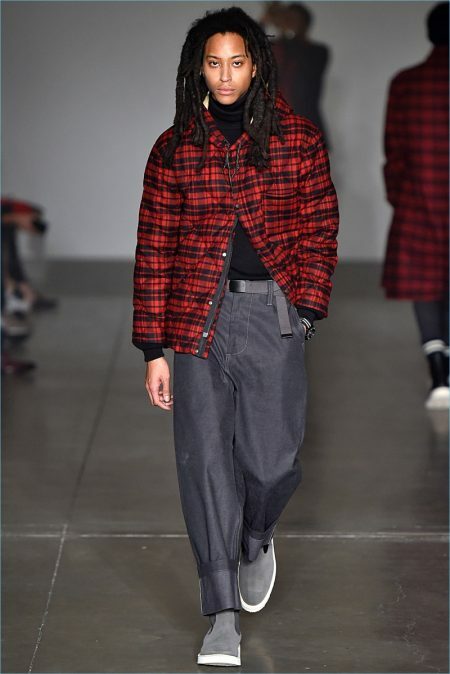 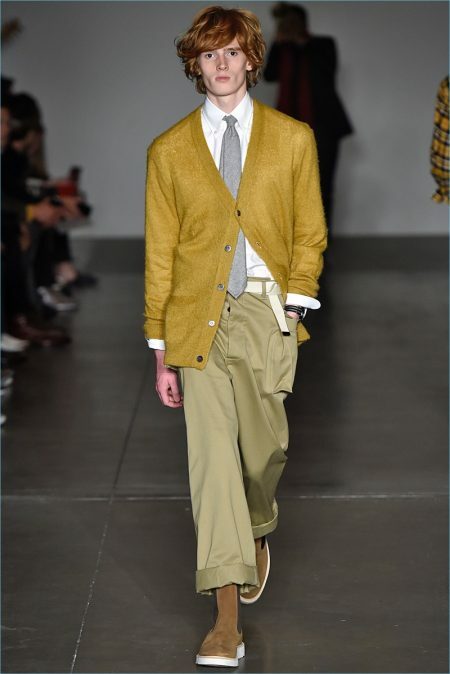 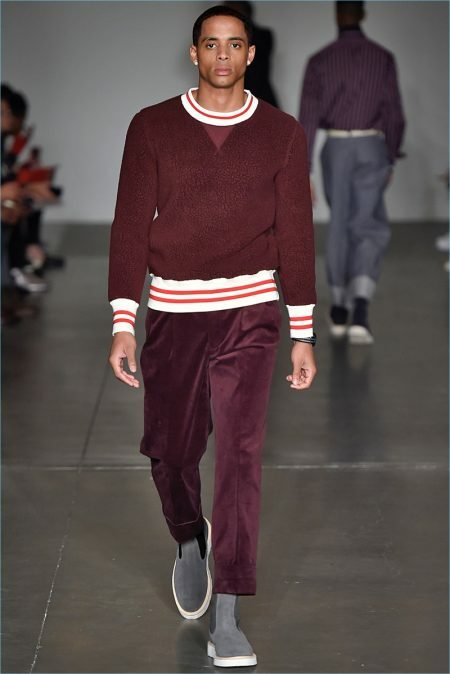 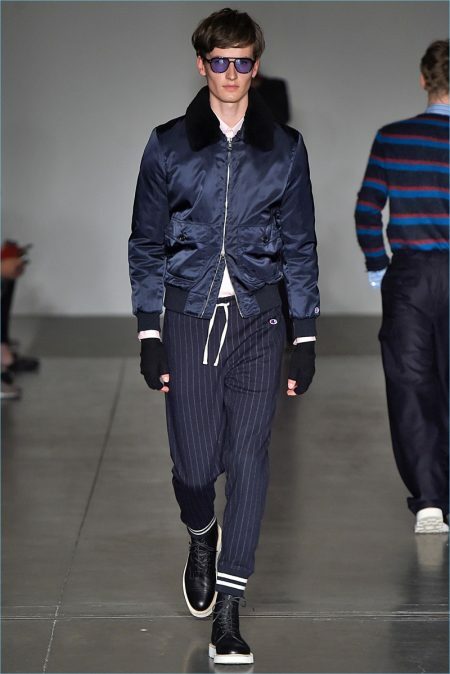 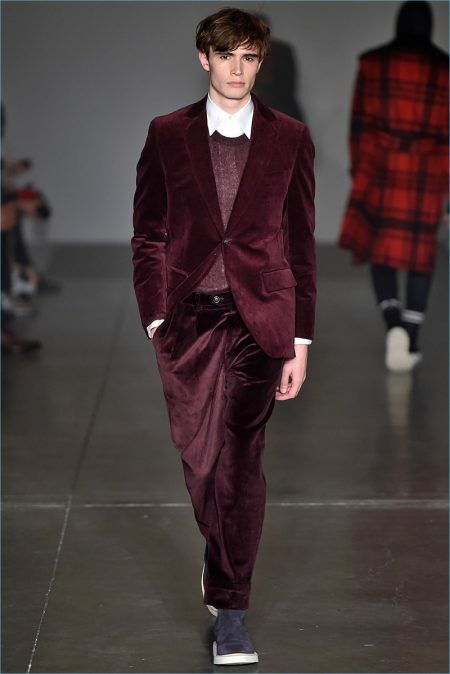 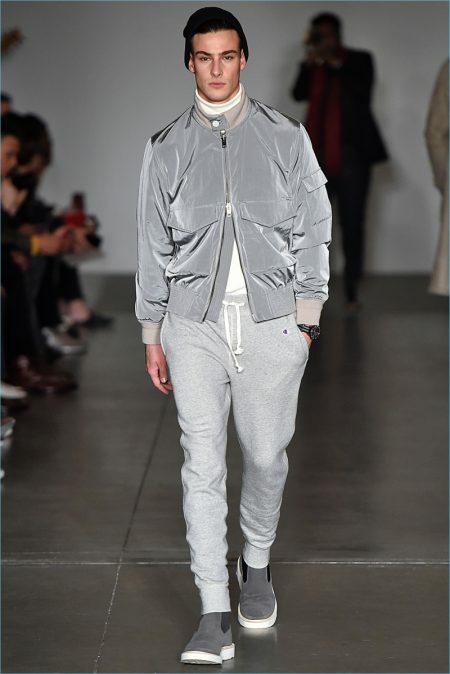 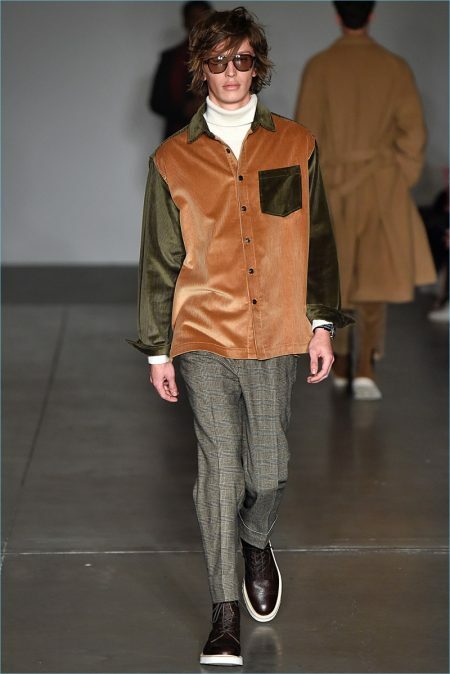 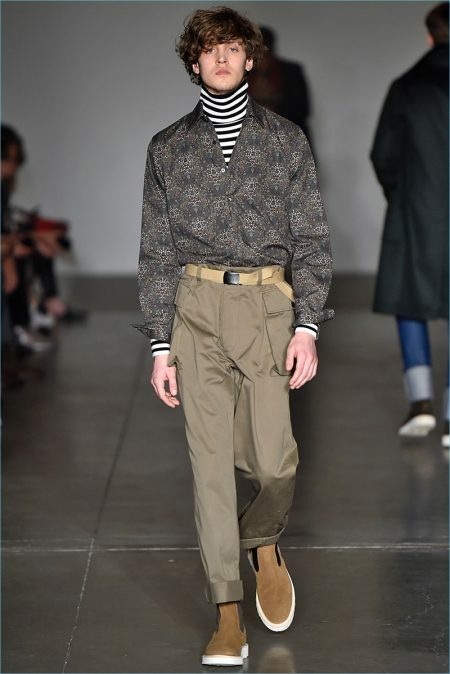 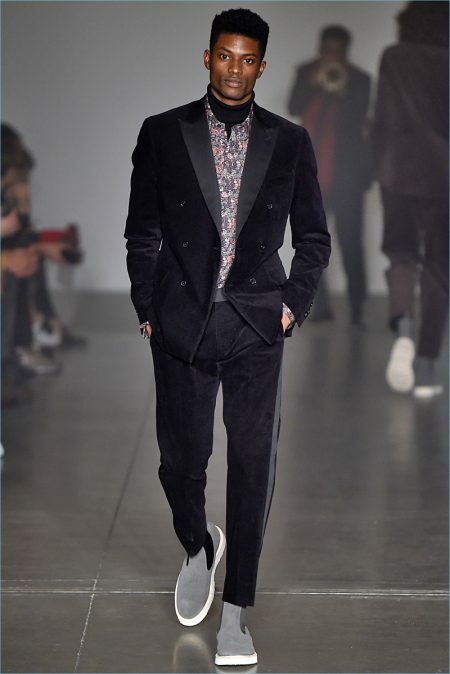 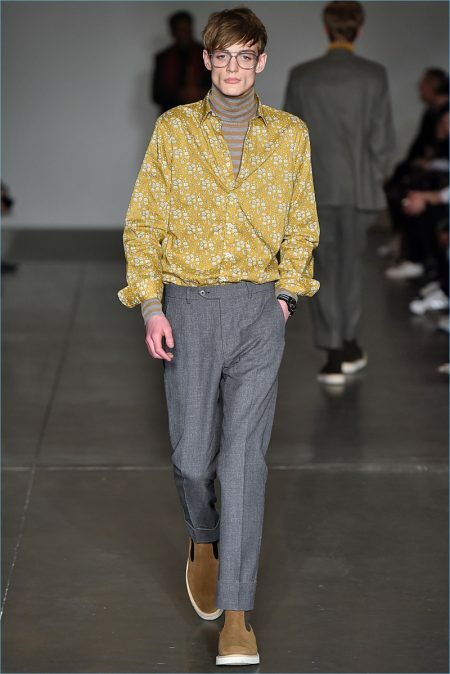 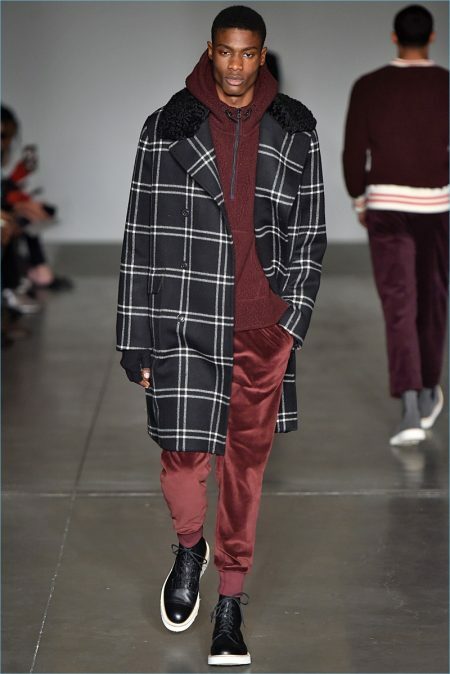 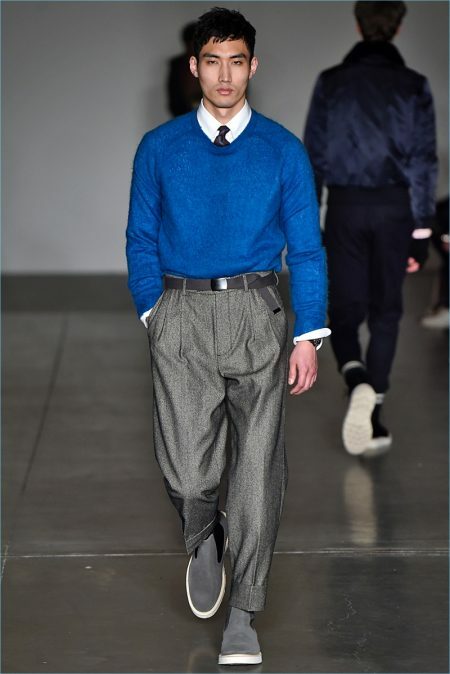 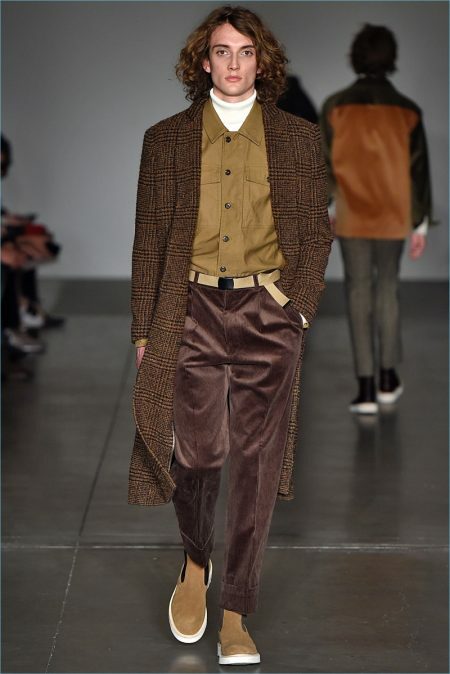 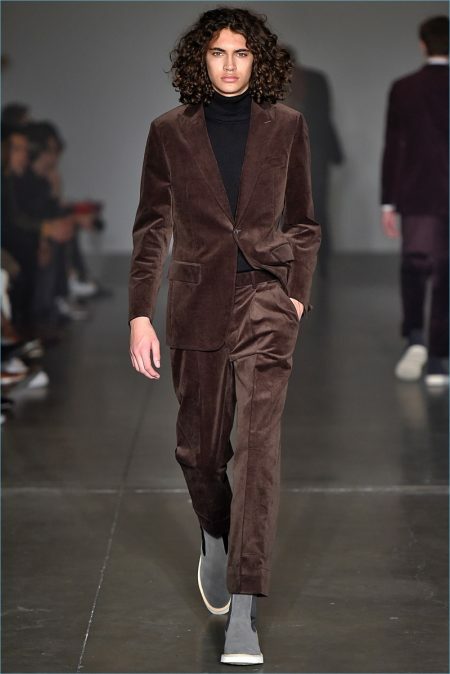 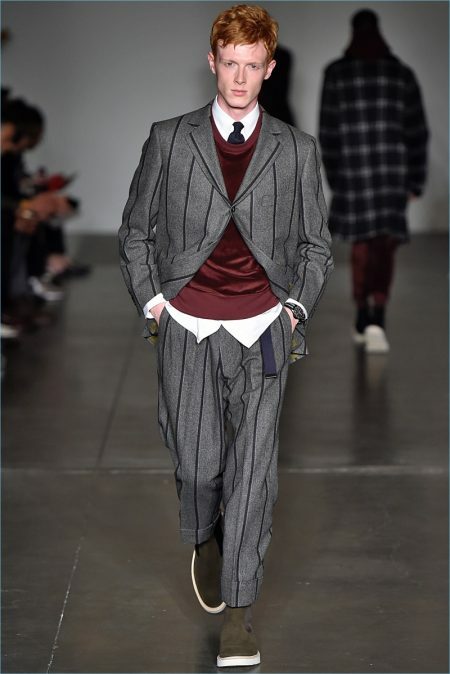 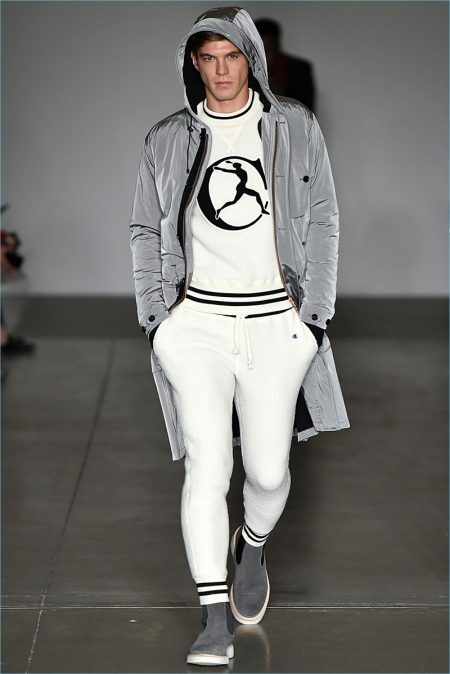 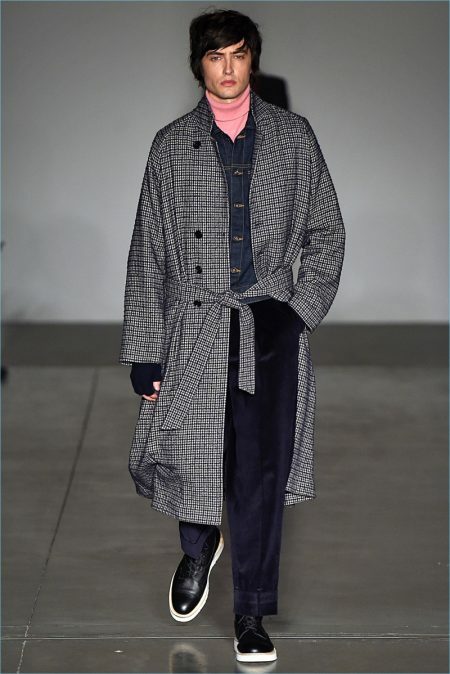 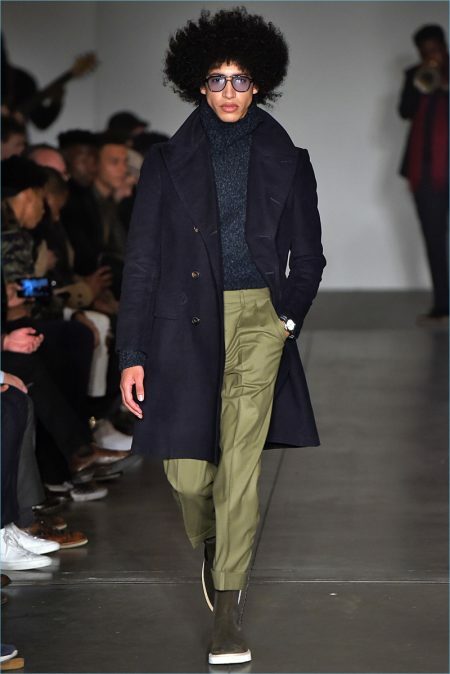 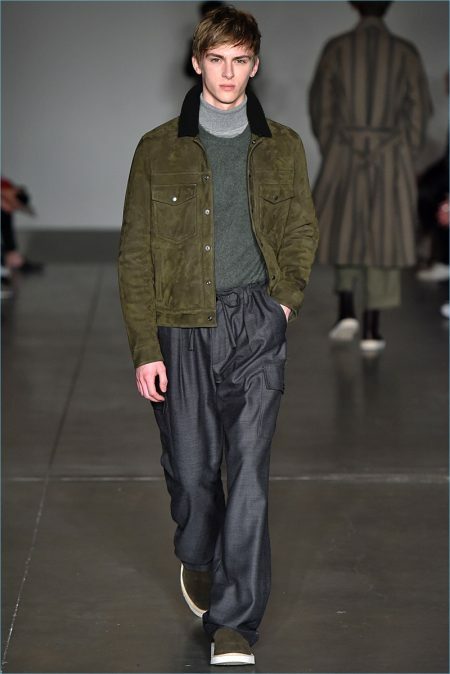 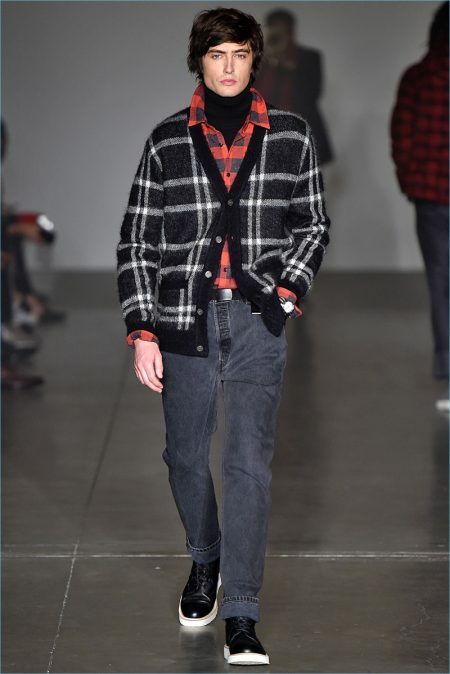 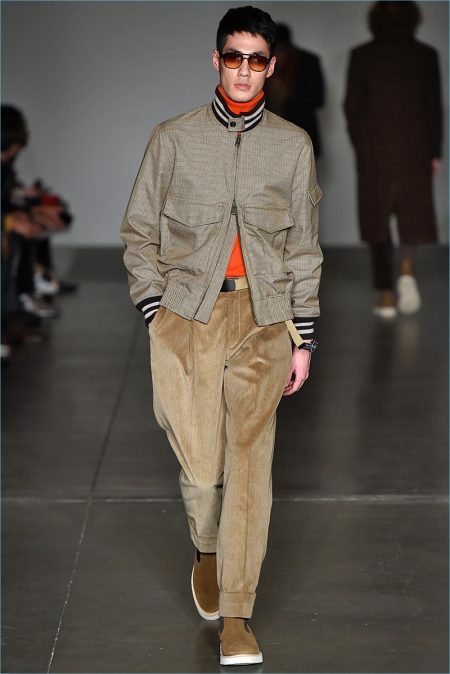 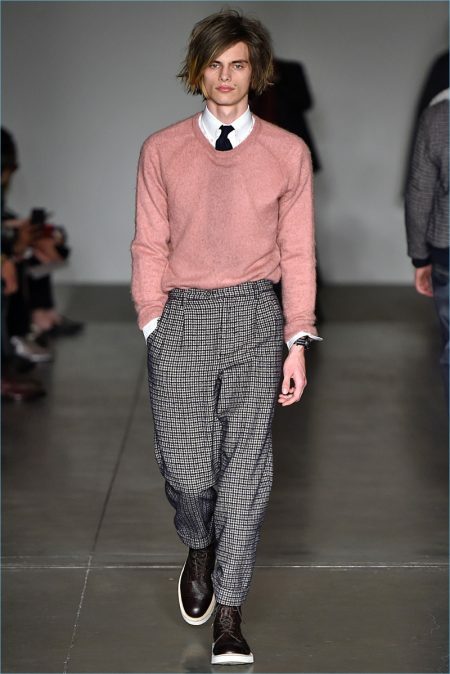 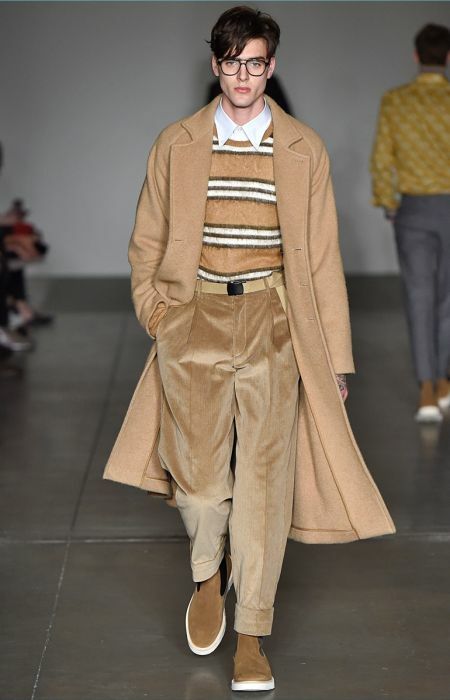 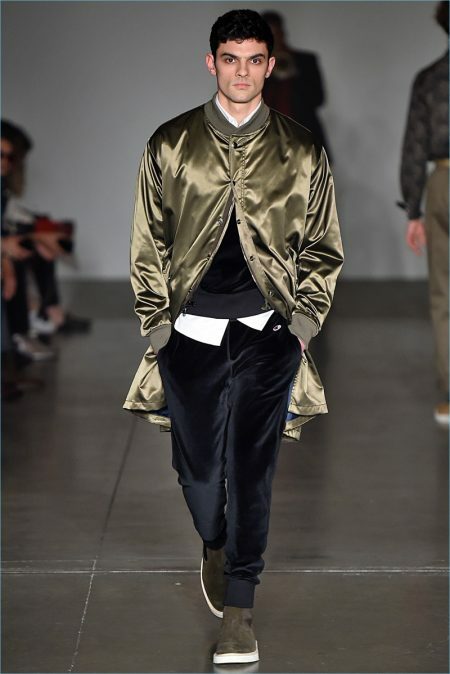 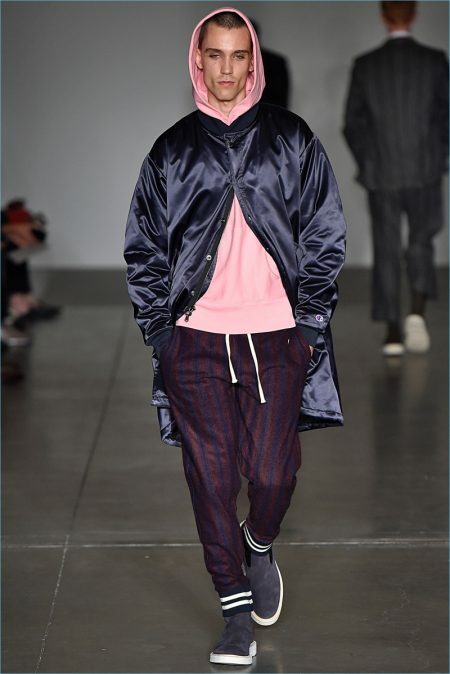 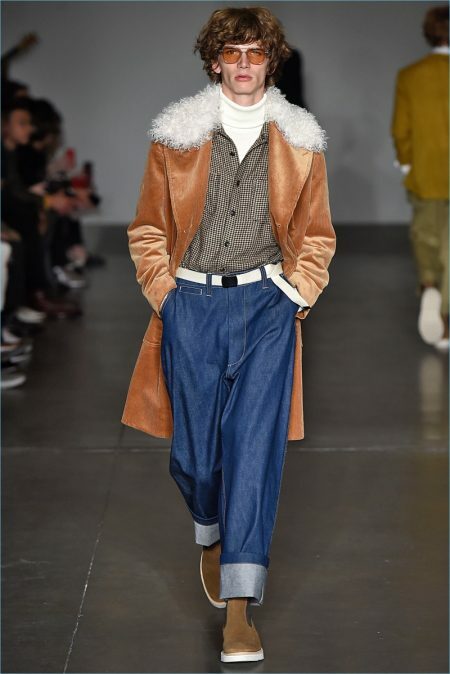 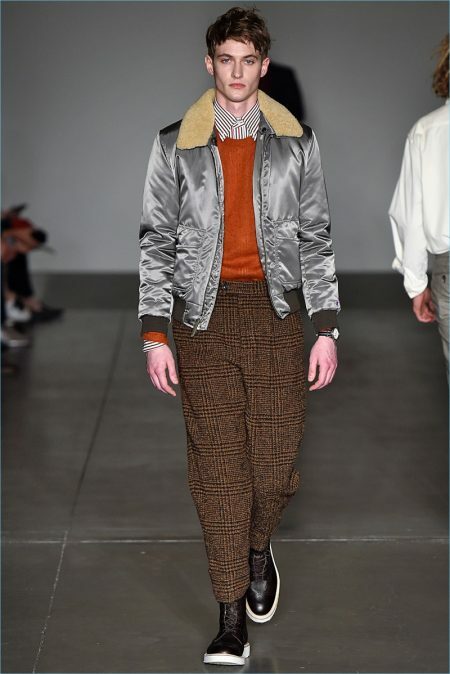 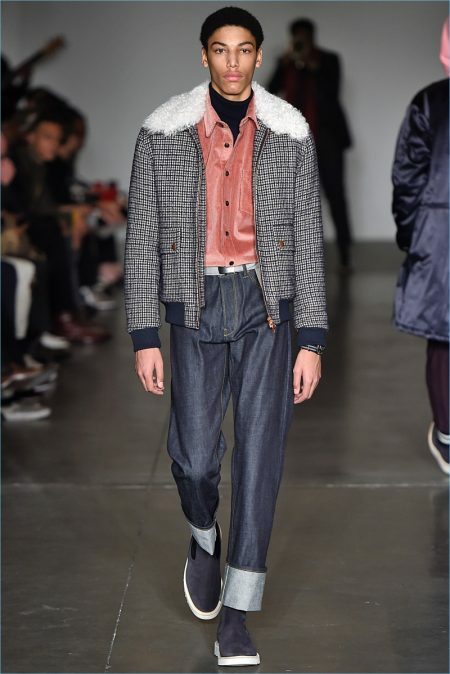 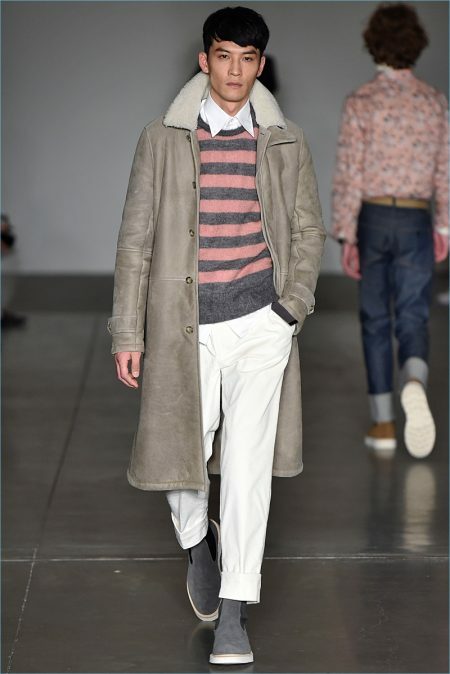 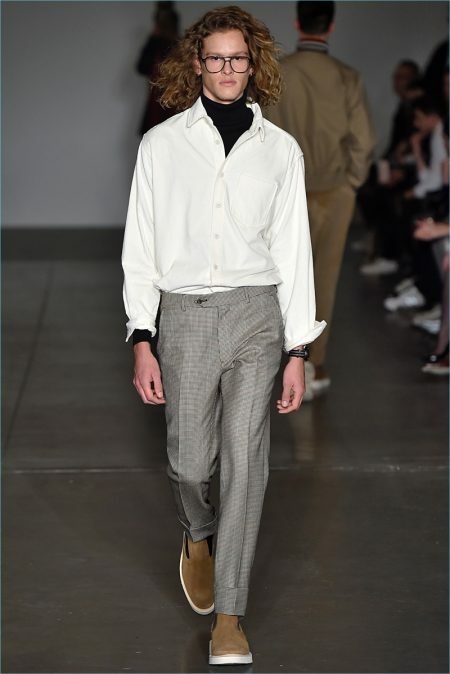 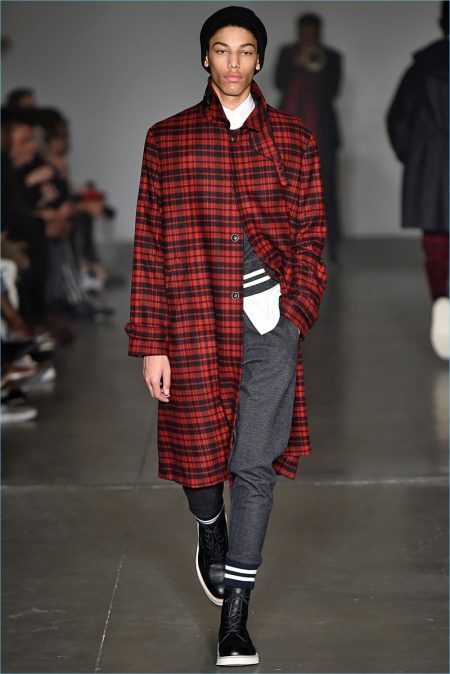 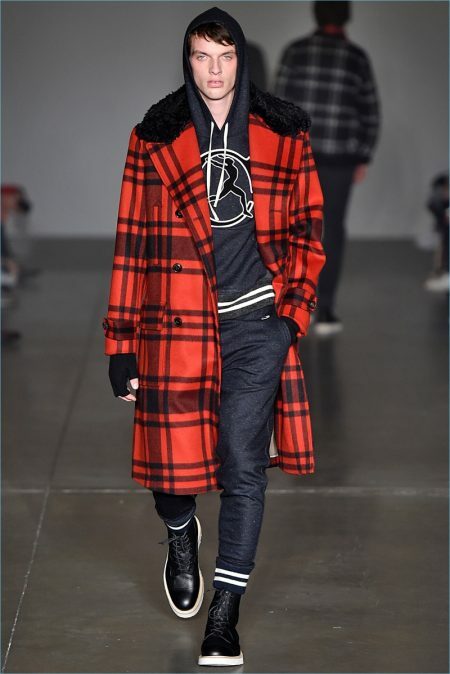 The designer describes the season as a smart slacker vibe that's part aesthete, part athlete, part Savile Row rebel. 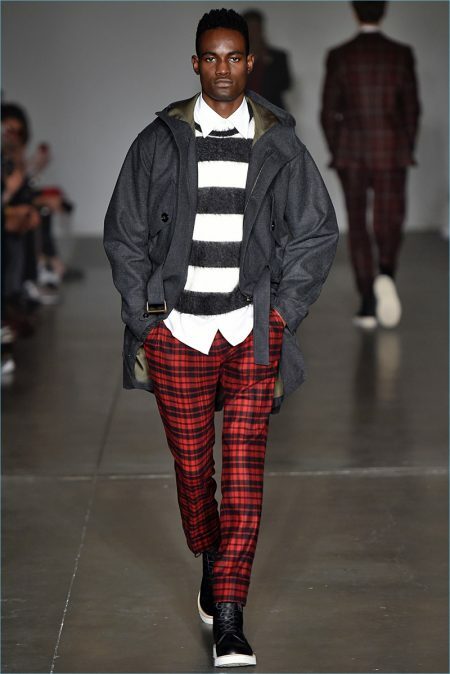 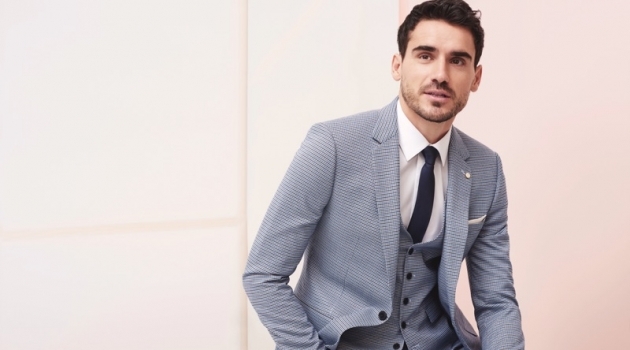 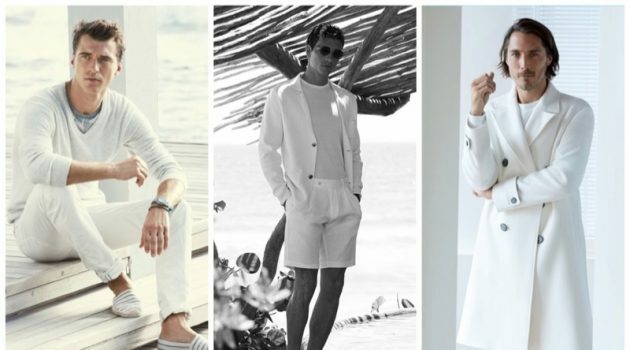 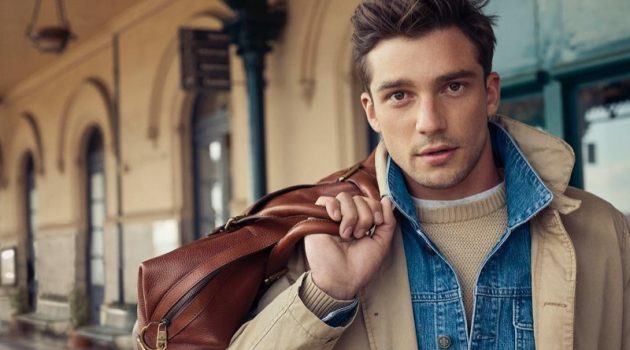 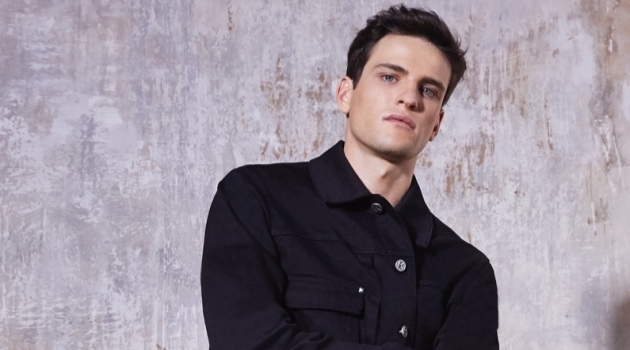 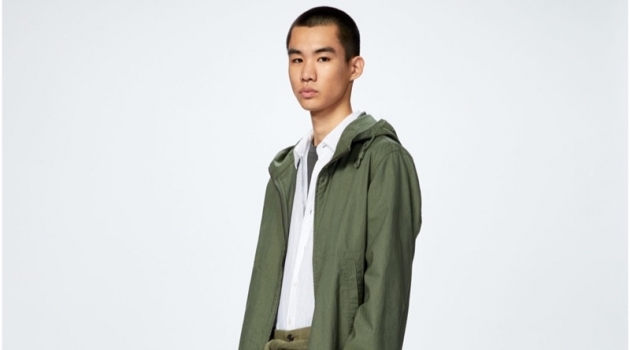 It's here that Snyder's penchant for East Coast prep style meets silhouettes from Swinging London. 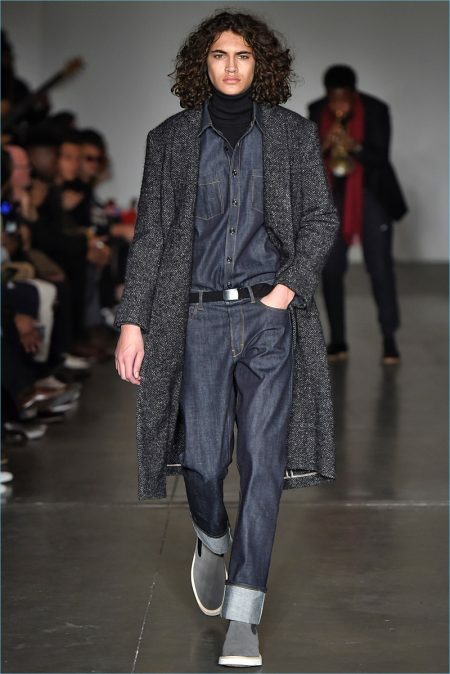 Embracing oversized proportions, sack suits come together with hoodies, sweaters, acid washed denim and sweaters. 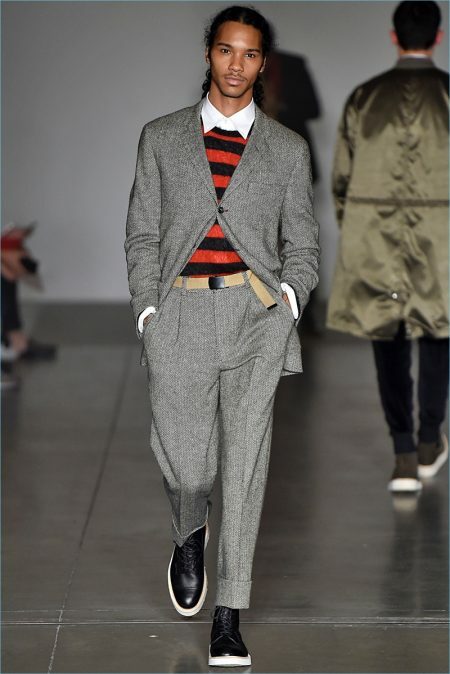 Additional standouts include sport coats, cardigans, and tailored tracksuits. 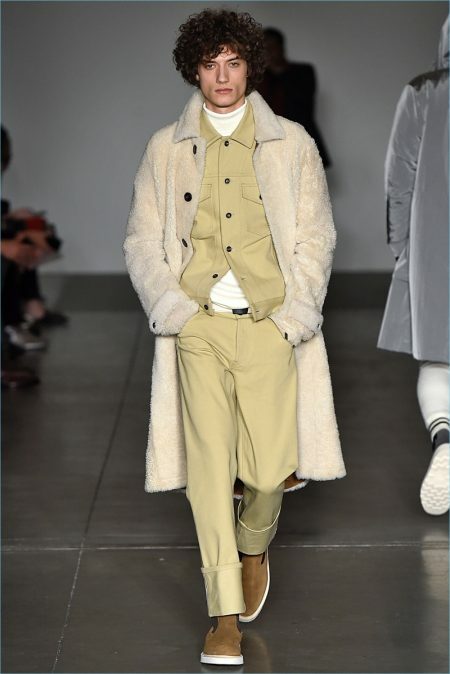 Making a case for modern trends, Snyder's collection also features statements that range from a sherpa fleece coat to one in mohair. 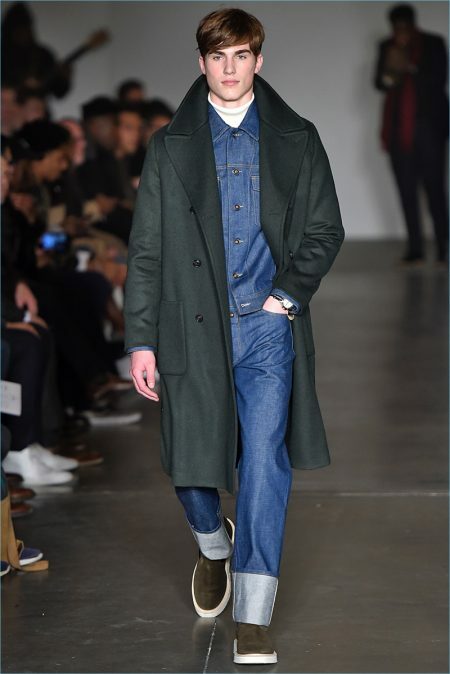 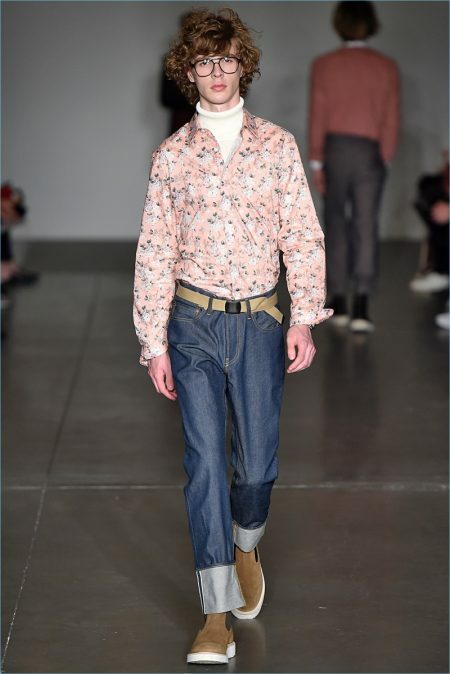 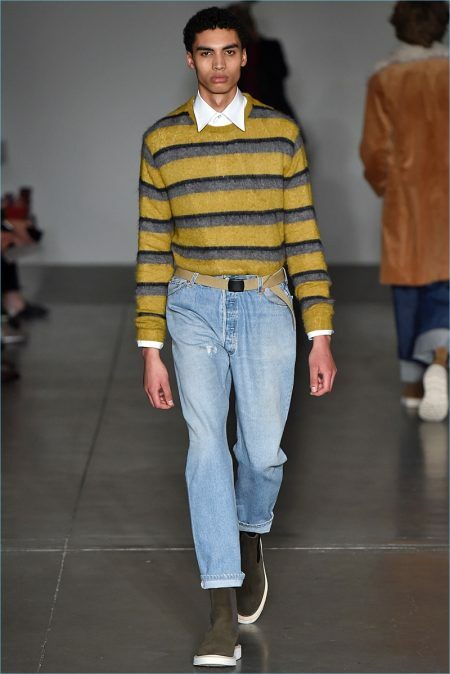 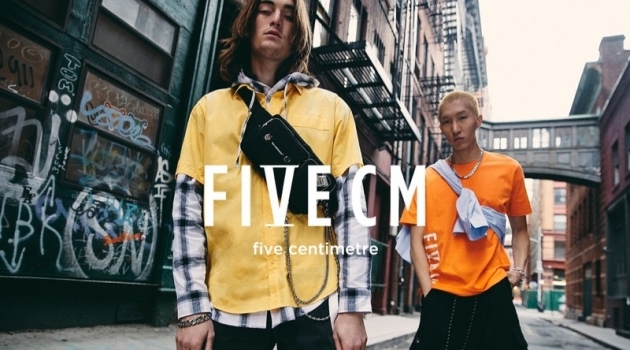 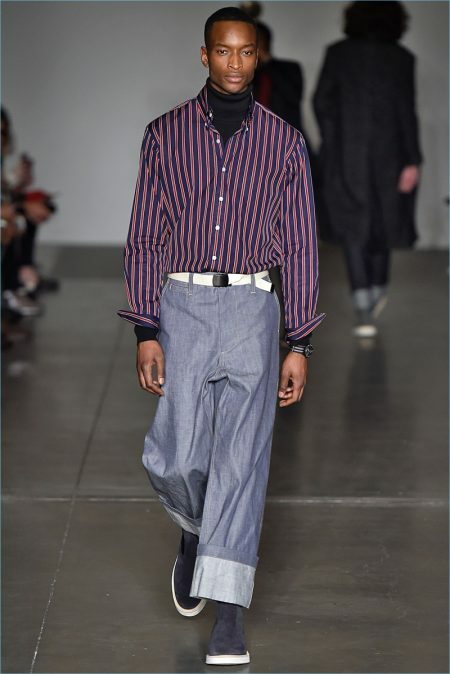 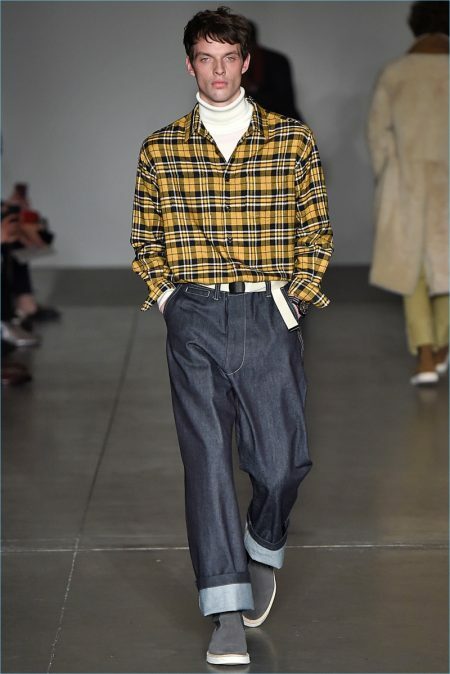 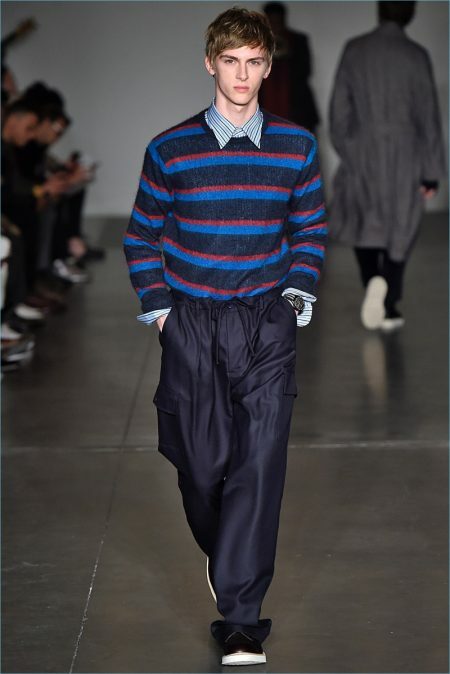 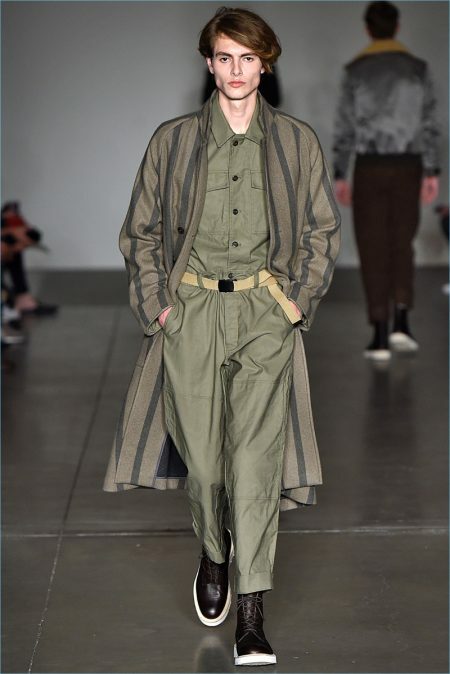 The American designer used his latest show as an opportunity to showcase his new Timex collaboration as well. 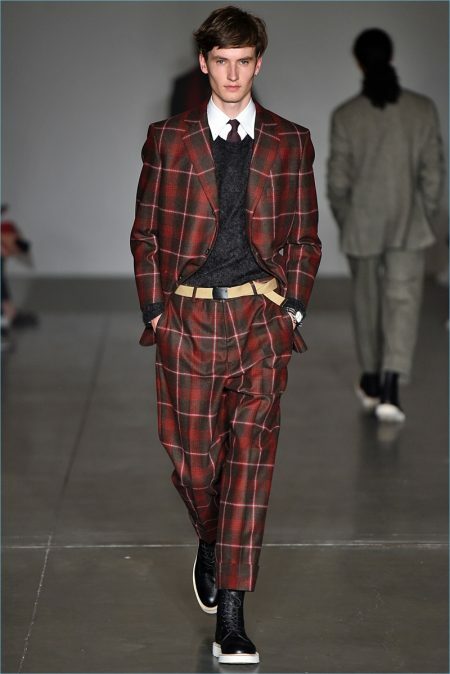 Todd Snyder presents tweed trousers as part of its fall-winter 2018 collection.